Below you will find a small part of the companies that use Serverwatch, and has agreed to be shown on our refference page. By showing their name on our refference, these companies also state, that a high up-time is essential for their companies. Feel free to follow their links. For further references, please see the B4Failure (Serverwatch Itanium) reference and testimonials section. 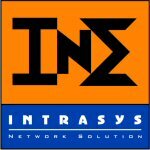 INTRASYS Network Solution GmbH is a german company founded 1989. We provide complete solutions to our customers in all shapes of support. This means Usersupport/Helpdesk, Outsourcing of IT-tasks and infrastructure, Web-developement and Serverhosting. Also we are offering Lotus Notes/Lotus Domino based services, developement and support as well as Domino hosting, A big part is Security in face of firewalling and secured services over IPSec and VPNs. Silents ServerwatchPRO is a big tool in our company to ensure first class availability of our servers, services and lines. Maximedia is a multimedia production company based in Holland. Experts in hi-tech mediasolutions, varying from dynamic database-driven websites, to professional DVD-video production and authoring. Solutions that work, with a practical sense of feasibility. Promax Denmark A/S is a well-reputed distribution distribution company in the electronics industry. The company employs 90 employees, partly in the mainoffice in Them and partly in the 7 other departments in Northern Europe. Slagelse Gymnasium is the largest gymnasium based on westsealand in Denmark. A total number of over 900 students and 100 teachers daily fills the coridors. The network-infastructure is based on Win32 with 2 AD's running both the administrative- and the public-domain. About 15 servers with different task keeping everything running. Recently the school has turned towards wireless network solutions. Serverwatch also helps management of the wireless accesspoints. Zolid is a high end IT-provider, specialiced in hosting and CMS solutions. FertileThoughts.com was created to support the various challenges related to building a family. Emenities specializes in providing the hospitality industry with online amenities including broadband access to the internet, video on-demand etc. Isis Group specialized in online marketing and related web development. A boutique firm, Isis specializes in the hospitality industry and works only with selected clients.